In 1954 19-year-old George Grinzewitsch, Sr. arrived in the United States for the first time, and he quickly rose from a service manager at Oxford Motors to founding the Von Housen parts shop, where the Von Housen Automotive Group gets its name. 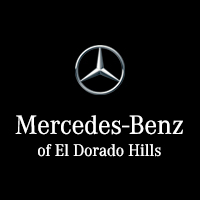 Mercedes-Benz of El Dorado Hills was established in 2003 to offer drivers from Placerville to Shingle Springs some of the most elegant and powerful vehicles on the road, and we’ve been doing it ever since. As a Mercedes-Benz dealership, drivers trust us to bring the finest new cars and SUVs to California. Whether you are seeking a classic luxury sedan, a high-class coupe, a convertible for cruising down the coast, or a crossover for the whole family, we have something for you at Mercedes-Benz of El Dorado Hills. Our diverse selection of pre-owned models is held up to the same standards of excellence, where you’ll find meticulously cared for vehicles you can depend on. Mercedes-Benz of El Dorado Hills believes in finding the right car for the driver, making customer satisfaction our top priority – a viewpoint we inherited from George Grinzewitsch that dates all the way back to his parts shop. We listen to our drivers and work one-on-one, putting your needs first every day of the week. Whether you visit us for auto service or need repairs performed on your vehicle, our Mercedes-Benz Certified Master Technicians will treat your vehicle as if it’s one of our own. We know how difficult it is to go without your vehicle for any period of time, too, and are proud to offer Mercedes-Benz Premier Express Service for regular visits and light repairs, putting you back on the road in under an hour. The Von Housen origins in a parts center can be seen plain as day when you visit our dealership, where we use only genuine OEM parts to ensure your vehicle is up to the Mercedes-Benz standard. The history of Mercedes-Benz of El Dorado Hills is a living one, and we would love for you to be a part of it. Shingle Spring and Placerville drivers need only visit El Dorado Hills to discover the Von Housen dedication to driver satisfaction. Don’t hesitate to contact our team if you have any questions about the dealership or the many services we offer; we can’t wait to hear from you.